Simplicity 2229 was initially purchased for the jacket and after taking a closer look realized that the skirt would be perfect for the Bottoms Up challenge. S2229 consists of jacket, pants, & skirt. 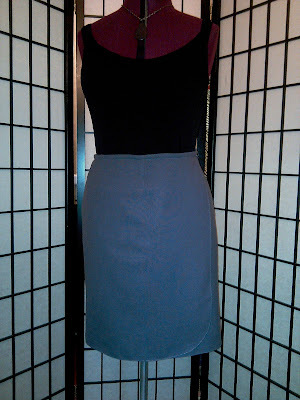 The skirt is a faux wrap, bandless skirt, with a side zipper & fully lined. 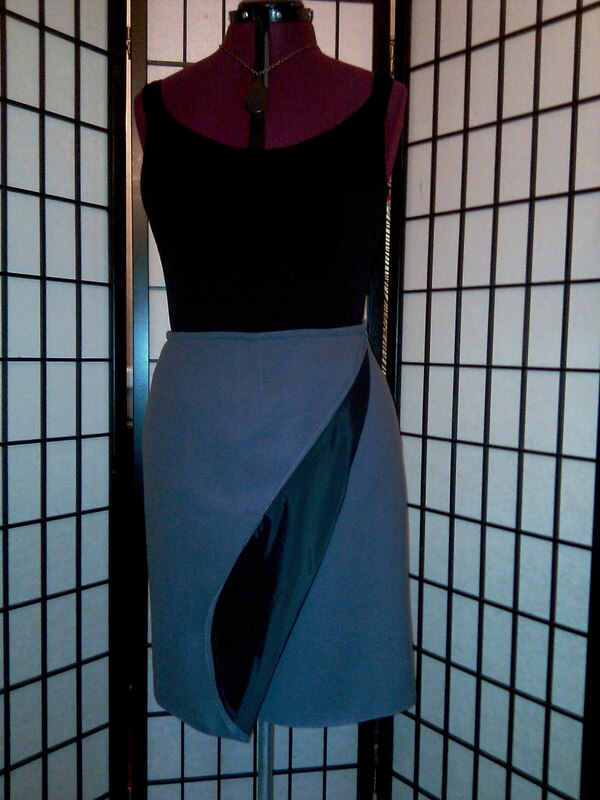 The fabric is a linen, rayon & lycra blend, in a lavender-grey. The instructions were clear and the assembly easy being that there are only 2 pieces. The pattern instructions call for cutting the back with a center back seam, but opted to cut it on the fold. 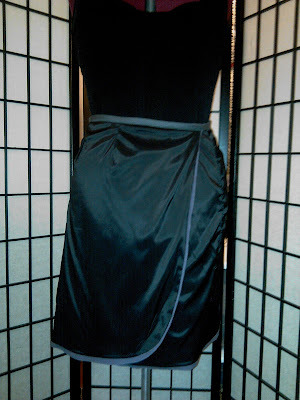 I used extra wide double fold bias tape for the waist, the zipper was machine stitched and the lining was attached to the zipper by hand. Since the pattern was purchased mainly for the jacket I went with the 16-24. 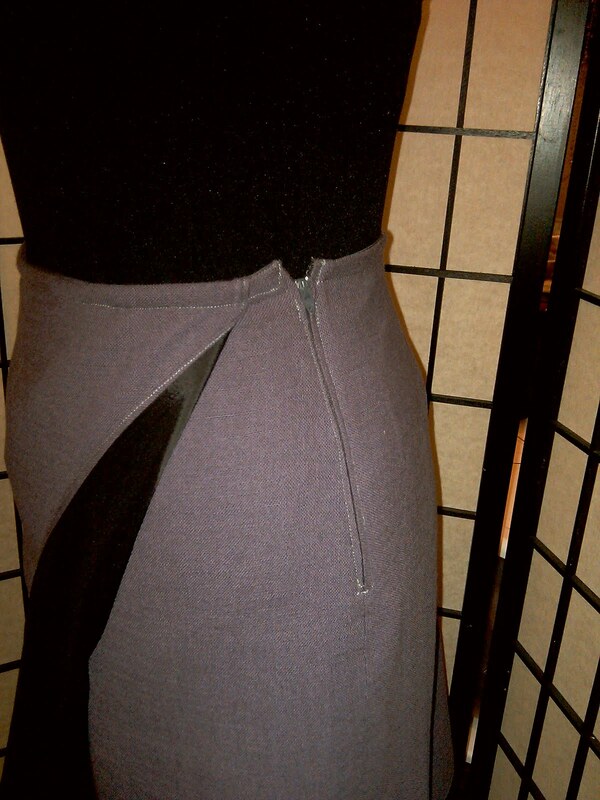 The skirt's final measurements were too big by 2" waist wise & hip wise and removed 2" from it and shortened by 1". 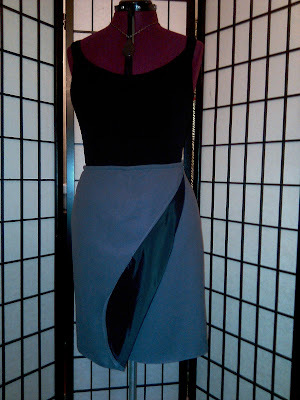 The skirt was a joy to sew and offered quick gratification. The skirt is still a bit too big and sits low on my waist. 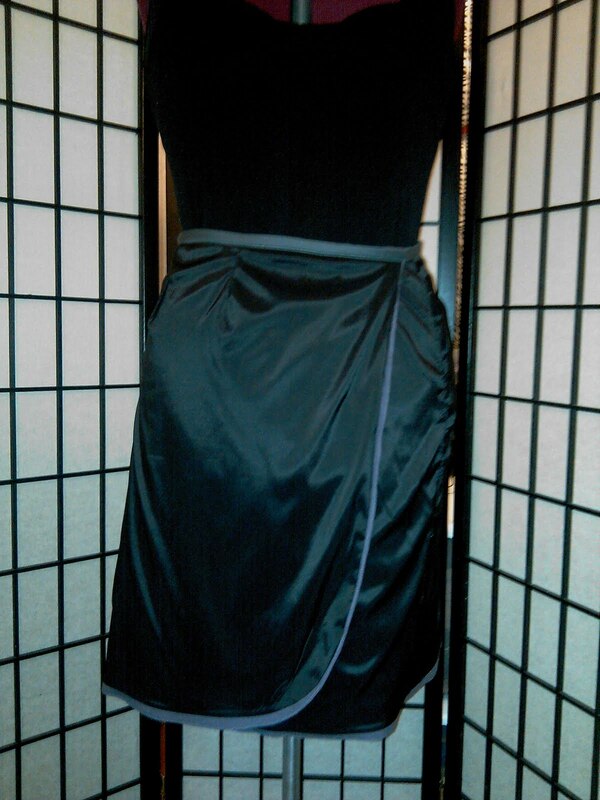 However, the skirt wore well and will definitely remove another inch for a closer fit on the next one. The weather was quite chilly this morning... 45 degrees and was perfect for a pullover sweater & boots. Hoping all are having a Great Week and preparing for A Beautiful Mother's Day. Sheila - it does look great on you! Happy Mother's Day! You look awesome in this outfit. The skirt is great. I can't believe it was so easy to sew. This skirt is on my to-do list. Glad to see it on a person. Will be making it in a few weeks. It looks great by the way!! That is a very nice skirt. It looks great on you. Looks excellent! Nice work Sheila! Looks great on you! Happy Mother's day! Lovely skirt and great pattern. Hope your colleagues appreciated how smart you looked. And you wore it so well. Happy Mother's Day to you too. Fabulous outfit! As always. Have a great Mother's Day! 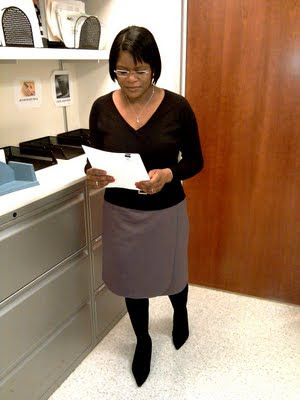 That skirt looks way better on you than on the pattern envelope. 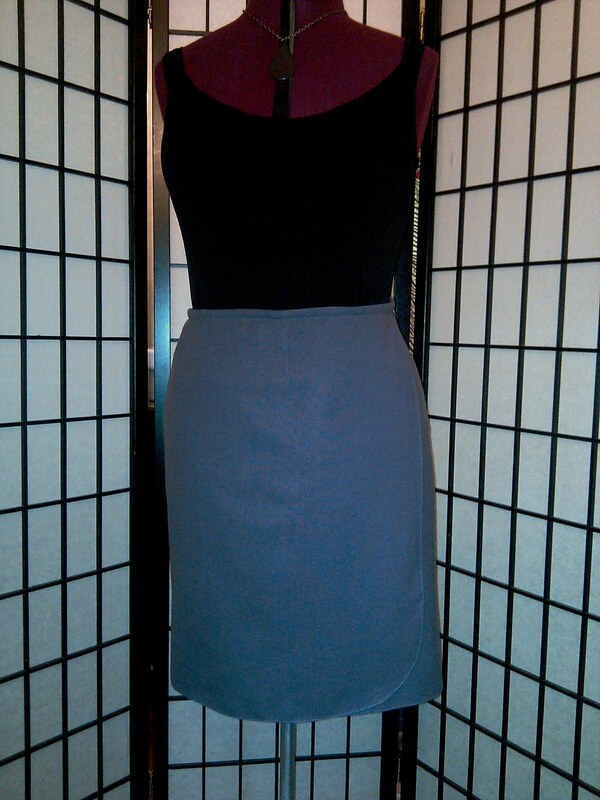 The skirt looks perfect for work - very smart! Great skirt - love it with the boots! Have a great Mothers Day! It looks fantastic. I love the skirt. What sharp, classy looking skirt! I love the skirt. I need one!! Hey lady!! Glad to see your still working it out!! Love your skirt. It's very well made and compliments your polished look. We had some chilly weather in May as well, but now our days are 95 degrees plus with humidity.